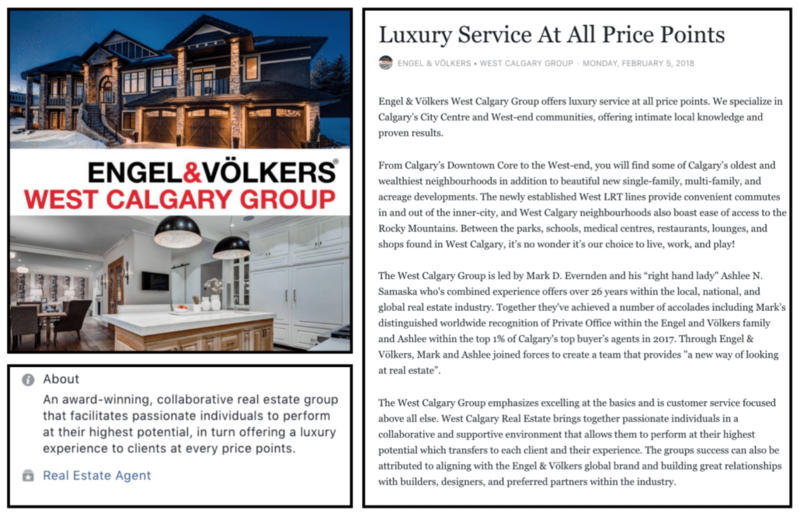 Engel & Völkers West Calgary Group offers luxury service at all price points. 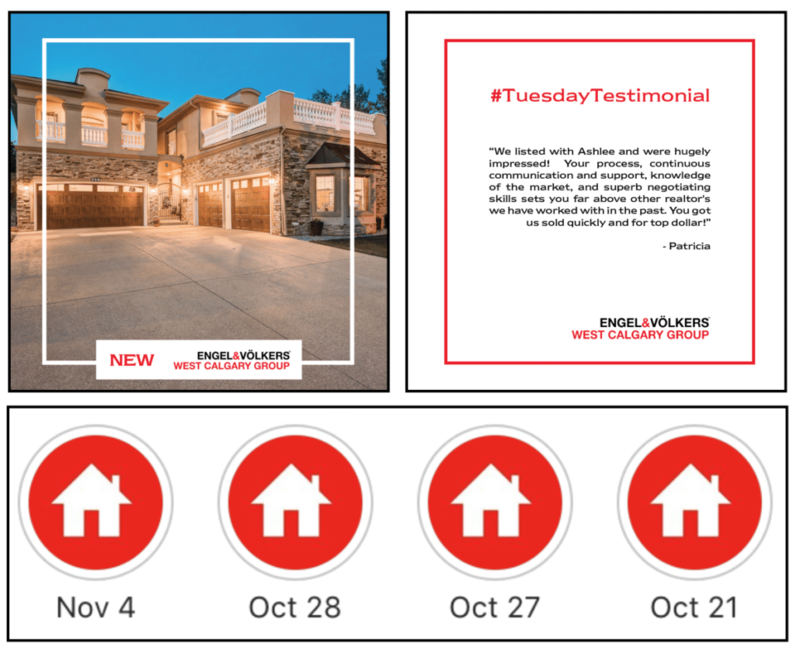 When Mark Evernden and Ashlee Samaska teamed up to specialize in Calgary’s City Centre and West-end communities they hired YYC3 to help develop their brand, consult on website development, and manage all social media, including paid advertisements. 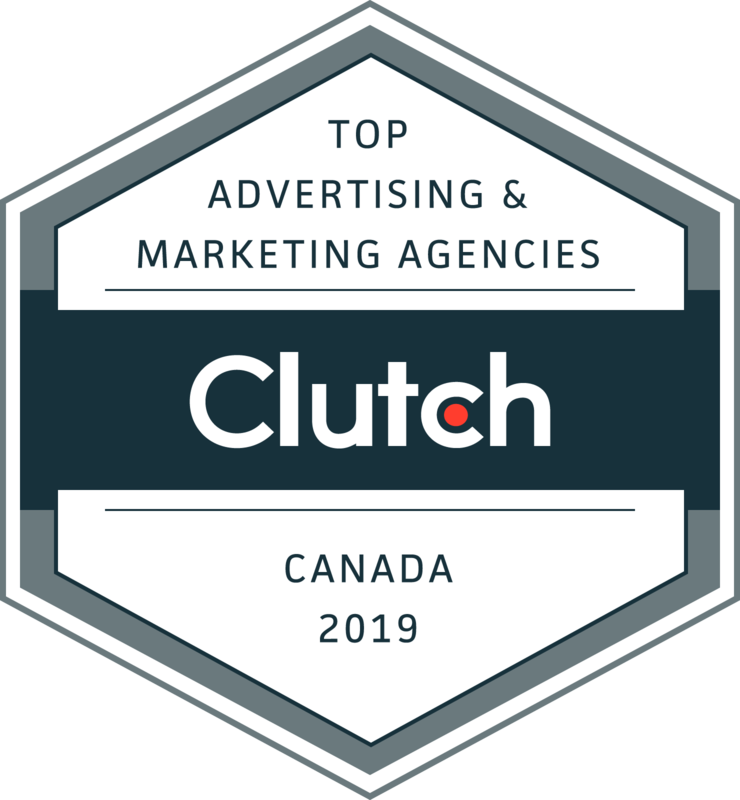 • Full brand development package to solidify corporate indentity, including logo revision, fonts, icons, colour palette, descriptions, keywords, core values, hashtags, and more! • Profile and content creation (copywriting and graphic design), content curation (shared posts) and content coordination (scheduling). 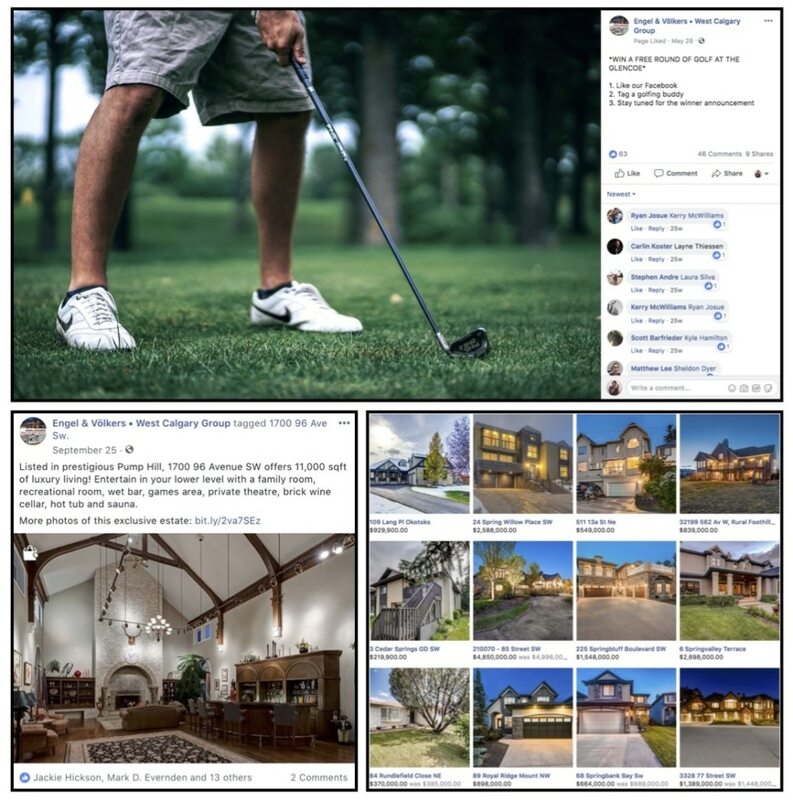 • Open Houses promoted through stories and highlights weekly. 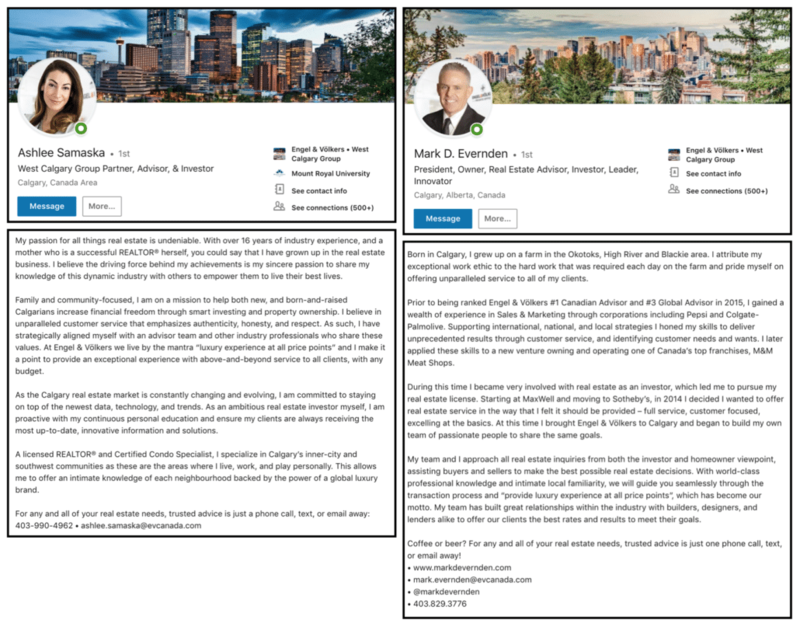 • Profile optimization for personal profiles and profile creation for West Calgary Group business.